At Macdonald Highlands, we offer the best Las Vegas luxury real estate and plots of land this side of the desert. While you may enjoy staying at home on your high-end real estate lot, others may enjoy their leisure time by going outside and being one with nature. 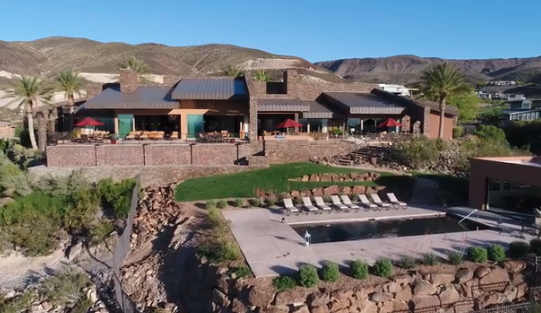 Whether strolling through the grass to DragonRidge Country Club or soaking up the sun on the patio, these outdoorsy types find comfort in our desert oasis splendor. To those playing out in the field, we suggest growing your own garden. There are fantastic reasons to start your own garden. Growing your own organic fruits and vegetables will taste better than anything you can buy at the store. Or if you prefer, the sight of a healthy, turgid garden brimming with bright flowers will heighten the beauty of your luxury real estate lot. If shopping for your Las Vegas luxury estate lot has taught you anything, it’s all about location, location, location! The location of your garden is not any different. Choose a location that is prime for the plants and convenient for you. Plotting your garden high on a hill may allow more sunlight for your plants and look visually stunning, but you, the gardener, may find hiking up the hill unenjoyable. Plotting your garden right next to the backyard door may be convenient to you, but the soil and lack of sunlight may make the plants suffer. You’ll need a combination of the two for gardening success. You’ll want to choose a spot that will allow the plants the perfect amount of sunlight, and you’ll want to set the garden on a pathway that you cross every day. This will help remind you to check on your green friends’ growth on a consistent basis. When thinking of the best soil to grow plants, people with green thumbs know to stay away from the arid Las Vegas desert soil. While it is possible to grow plants in the desert, the desert soil has characteristics that are detrimental to plants. The soil is dry and it lacks essential minerals and natural organic compost. This soil is also high in sand and salt. When planting, choose a soil that will nurture your plants how you will. We have included a link to a website that will help you find the right soil. When deciding on where you’ll place your garden, it may be helpful for first-time gardeners to use a raised garden bed. It will save you the hassle of digging out a plot and filling it with soil. Another benefit of a raised garden bed is that it can limit the size of your garden and make tending more manageable. The sight of blooming flowers or tomatoes the size of softballs will draw attention regardless of where it is located. However, you do not want attention drawn to your garden because it is out of control, haphazard, or because someone stepped on it. As you searched everywhere to find your perfect luxury real estate lot, you should do the same for your plants. It will make your daily stroll through the garden a pleasure and amplify your luxury real estate lot’s curb appeal. The conventional benefits of designing your garden will allow you more control, which in turn will help your plant’s health. Let’s say you tried everything for your plants, but they still died on you. Or let’s say you started one, but circumstances do not allow you enough time to tend it. Save yourself from earning the title of neighborhood flortician, and let the professionals handle it. Don’t think of this as accepting defeat. Rather, think the fact that you love your plants so much that you’d provide only the best for them. That is, after all, what luxury living entails, even the smallest plant deserves that. MacDonald Highlands knows luxury living. We offer the best in Las Vegas luxury real estate whether you’re an outdoorsy type or a complete homebody. Contact us today for more information and start making your dreams a reality.